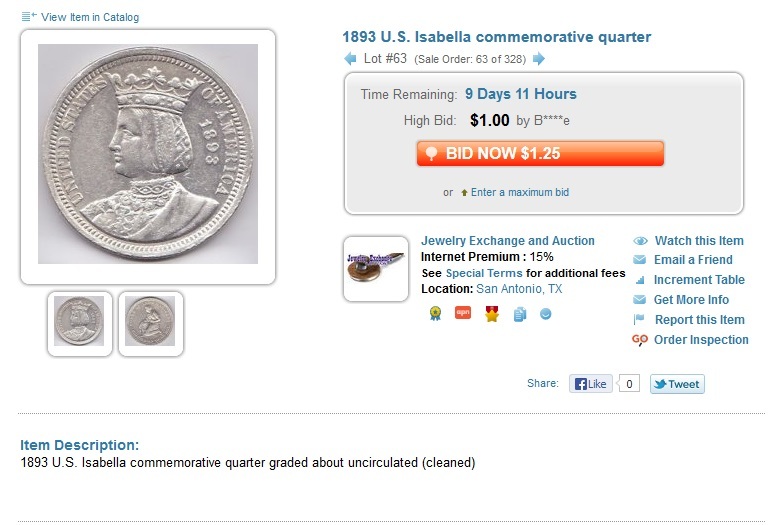 One Big Booyah to Jewelry Exchange for consistently noting cleaning on coins, difficult to detect with online photos. Another Booyah to Rolling M Auction! for noting rim dings on a coin. See this post for more information on identifying dings and bumps. 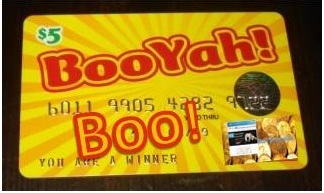 Booyah Munda Auctions! 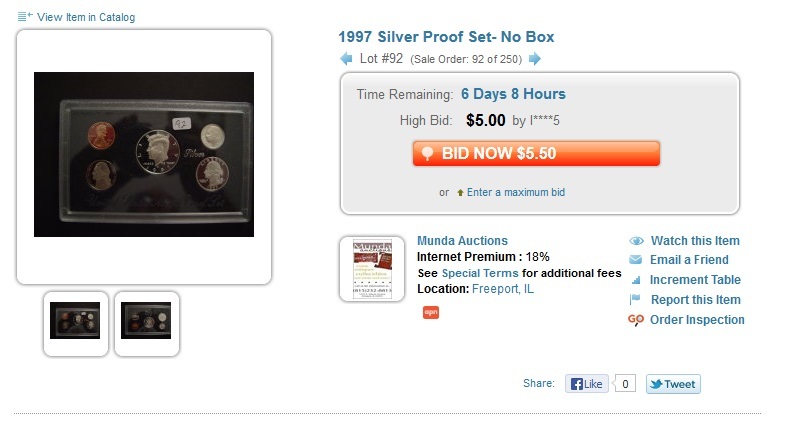 for noting on this and several other lots of proof and mint sets that the item did not contain a box. Sets without boxes sell a tad lower than with boxes. That’s why it was important to note. Booyah Decatur Coin and Jewelry! for some of the best lot descriptions on the portal. 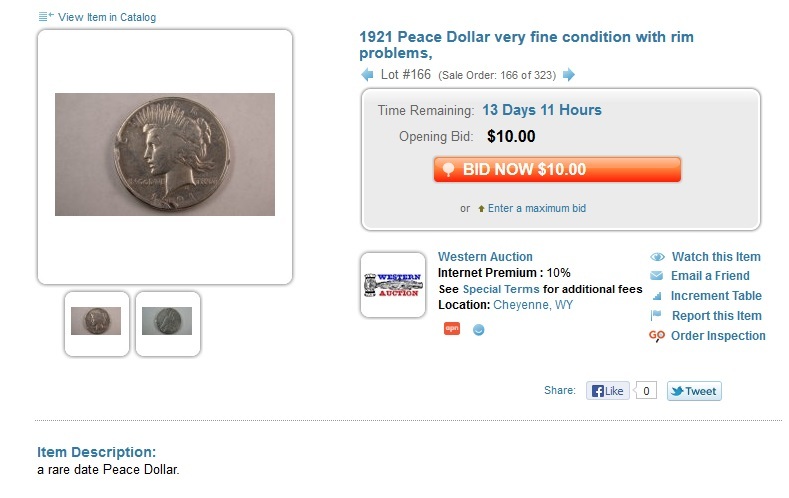 These numismatists know what they are selling and share that information with bidders. 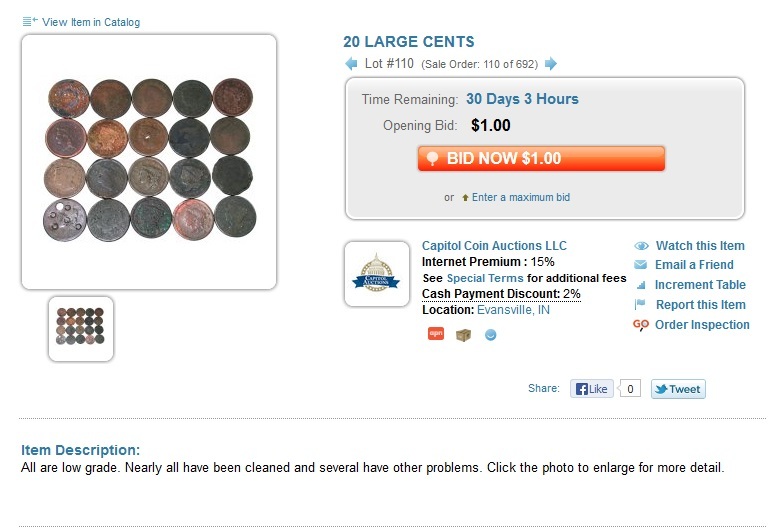 Booyah Capitol Coin Auction! 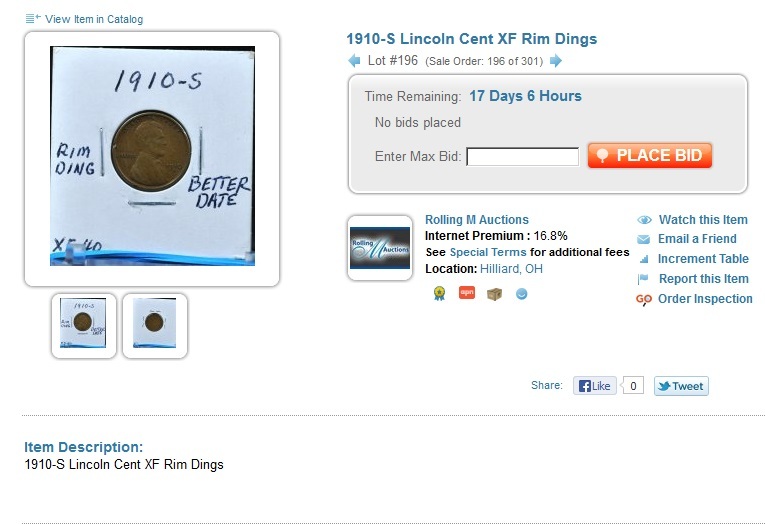 for consistently noting problems on coins, including multiple-item lots like this. 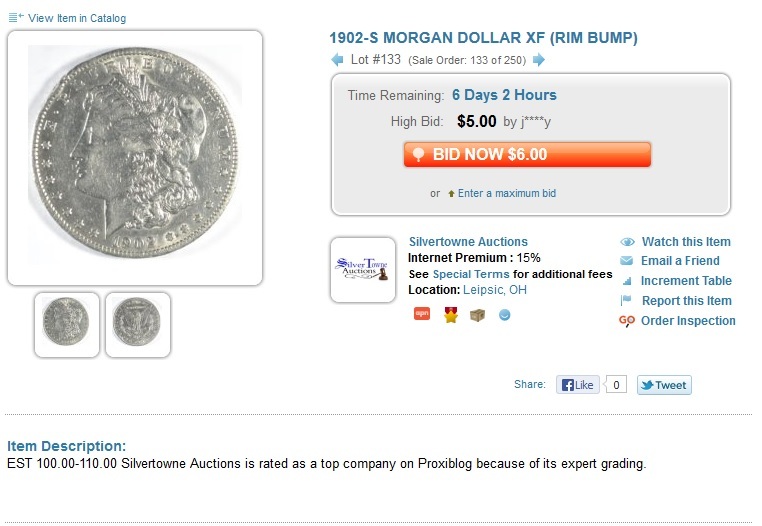 Booyah SilverTowne Auctions! for consistently identifying damage, rim dings and bumps, and other issues with lots. Doing so earns repeat business from buyers who come to trust your descriptions. Booyah Western Auction! for also noting rim dings, bumps and other flaws on coins. Booyah Gary Ryther Auctioneering! for noting issues on currency. 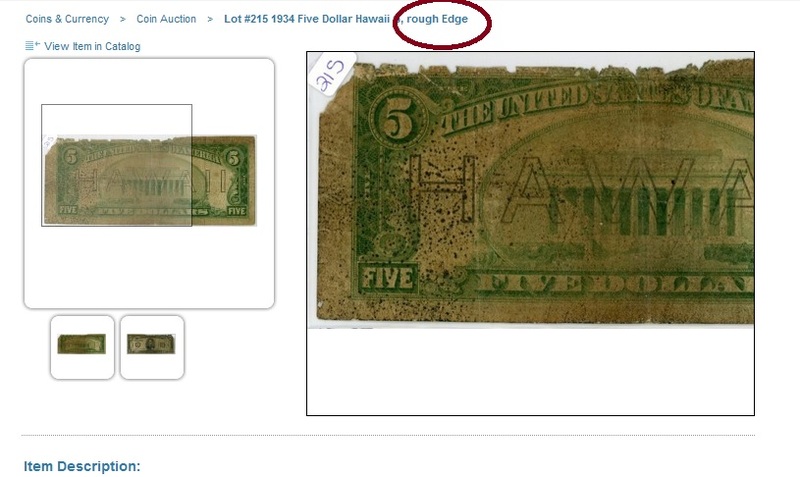 Even if the damage is obvious, as on this coin, note it in your lot descriptions for value-added considerations! This entry was posted in Boos and Booyahs! and tagged American Numismatic Association, Auctioneers, AuctionZip, Best Practices, Coin Auction, Decatur Coins, Gary Ryther Auctioneers, Howard's Coin Shop, iCollector, Jewelry Exchange, Munda Auction, National Auctioneer Association, Proxibid, Proxiblog, Rolling M Auction. Bookmark the permalink. 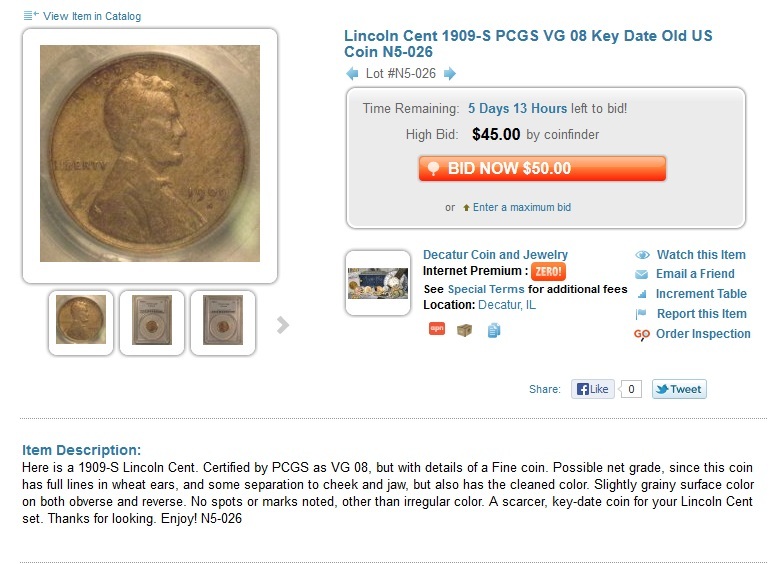 ← Learn About Coins, Sell More Lots!